Gentelella a responsive, flat and full featured admin template build. This template is build on Bootstrap 3 framework using modern techniques like HTML5 and CSS3 to be used for backend solutions of any size. 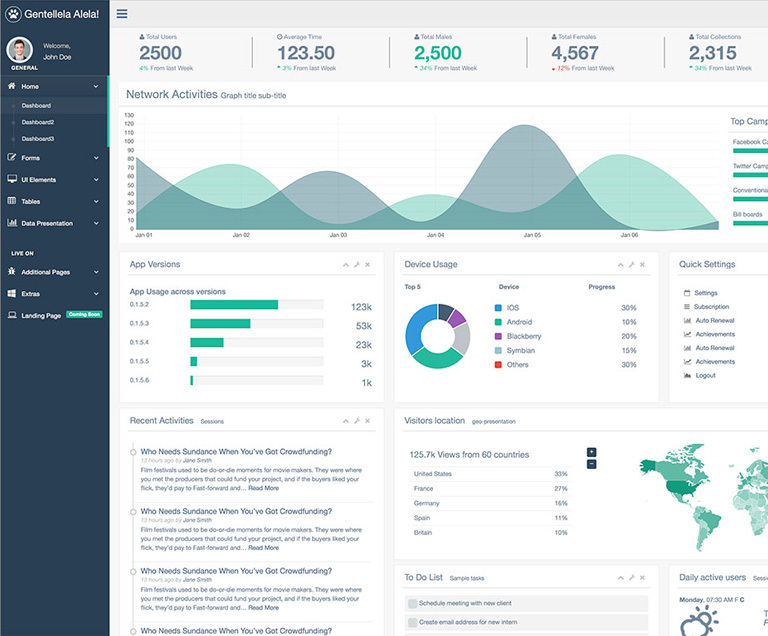 This is by far the most advanced and well designed free admin dashboard template that can easily compete with any premium alternative.